GEO Certified™ Dundonald Links, Scotland, is delighted to announce it has been named overall winner in the 2015 International Association of Golf Tour Operators’ (IAGTO) Sustainability Awards due to exceptional management standards within golf’s sustainability issues – nature, water, energy, supply chain, pollution control and community. The IAGTO report stated that Dundonald Links, near the legendary golfing town of Troon in Ayrshire, had demonstrated a deep, integrated commitment throughout all aspects of sustainability since opening in 2003 and is now recognised among the most progressive clubs in the world with its dedication to environmental and community initiatives. IAGTO also highlighted the many activities embedded in the culture of Dundonald Links including Zero Waste, numerous and specific biodiversity projects, habitat improvements, ‘outdoor classrooms’ for local schools, campaigns and partnerships with a large variety of local and national organisations, and public nature trails with education boards. The announcement was made at the 15th annual IAGTO Awards Ceremony held on 30th October at Villa Erba, Lake Como, Italy. 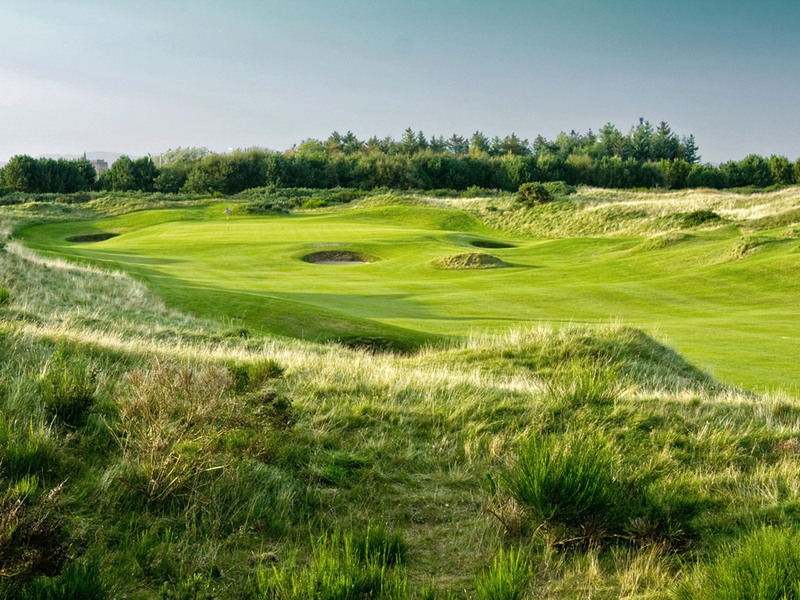 Earlier this year, Dundonald Links was awarded the title of UK Environmental Golf Course of the Year 2014, in addition to becoming GEO Certified™ – a symbol of great golf environments worldwide. In 2015 it will be proud host to The Aberdeen Asset Management Ladies Scottish Open presented by EventScotland and in 2016 will be host venue to the Ladies British Amateur Open. Guy Redford, Director of Golf, Dundonald Links commented: Dundonald Links is honoured to receive this award and to be recognised for playing its part in protecting the natural world. Through our team’s passion and dedication to environmental sustainability, the Club has in return become more efficient and commercially viable. In addition, our partnerships with local and national organisations and, in particular, within the local community have been extremely rewarding, supporting education, building relationships and opening doors to new opportunities. Alongside thousand proposed activities, such as beach walks, sea fishing, hunting or horse riding, golf lives similar to any other. Totally natural, the famous designer Kyle Phillips was able to enroll in the natural contours of the land. Unique with 12 holes, the course is open to everyone, young and old, beginners and accomplished golfer.